Newborns are indescribably precious, and every parent wants to cherish this special stage of life forever. 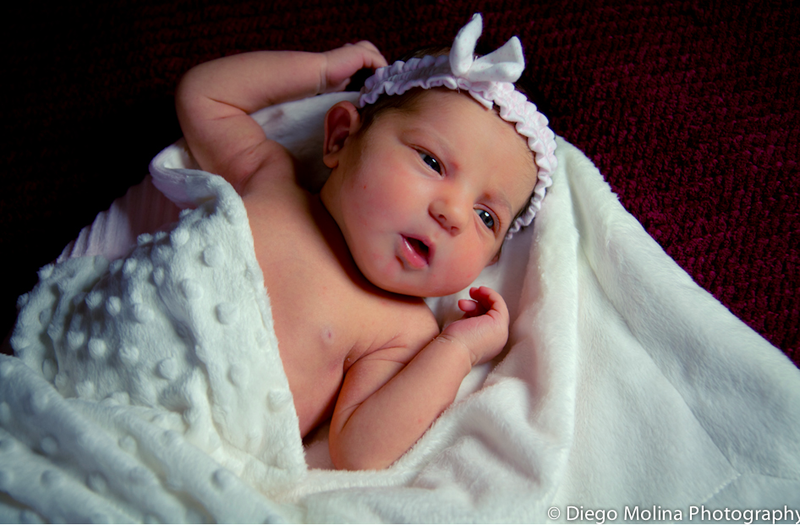 At Diego Molina Photography in New York and New Jersey, sought-after photographer Diego Molina provides uniquely beautiful newborn photography services, capturing memories parents will treasure for a lifetime. Also specializing in family photography, Molina brings a particularly inspiring quality to his work through his mastery of color, as well as his irrefutable talent for capturing the essence of his subjects. From vibrant glimpses of coy smiles to tender moments shared among siblings, Molina possesses the artistry and the humanity to convey the precise mood of a moment. As a result, the budding personality of your little one will shine through in every gorgeous print. Choose Posed vs. Lifestyle: You should decide how you want to remember these special moments. Posed shots are best for newborn photography when conducted in the first two weeks of birth, so your baby is adequately sleepy and ready for cute, swaddled photographs. The result is a peaceful, angelic look into your baby’s heart and soul. Lifestyle sessions can be taken up to six weeks and will focus more on the relationship of baby with their family, home, and new surroundings. The result is a loving and wondrous look into this new, shared world. Decide On Props: If you decide you want a posed shoot, Diego Molina is equipped with tasteful newborn props and backgrounds to choose from. If there is something of particular importance you want to include, say, a special teddy bear or headband, then plan ahead and communicate your vision with the photographer. Relax: Newborn photography is special because of the amazing new life and invaluable relationships it sheds light on. Diego Molina will help you feel relaxed and at home throughout the process so you can continue to enjoy the moment naturally. Once you’ve communicated your wishes to this experienced photographer, all you have to do is let loose and have fun. Molina is a true artist who will craft stunning photographs that shed light on a moment in time. For the best in newborn and family photography in New York and New Jersey, look no further than Diego Molina Photography. He also specializes in boudoir photography, wedding photography, and much more. Check out a selection of his gorgeous work online, or call (201) 838-1687 to find out more.